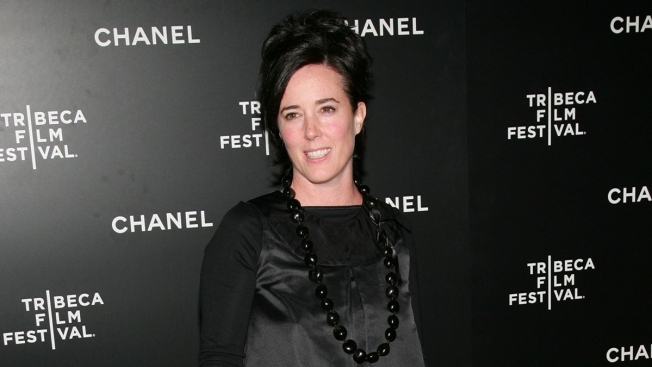 A funeral will be held for fashion designer Kate Spade this week in Kansas City, where she was born. The Kansas City Star reports that services for Spade are planned for 3 p.m. Thursday at Our Lady of Perpetual Help Redemptorist Church. Her father, Frank Brosnahan, says it's the same church where Spade's grandparents wed.
Spade was found dead by suicide on June 5 in her New York City home. She was 55 and had a teenage daughter and husband. Spade was working as an accessories editor at Mademoiselle magazine when she launched her company with husband Andy Spade in 1993. In lieu of flowers, the family has asked for donations to the American Society for the Prevention of Cruelty to Animals or a Kansas City animal shelter. Here is information on suicide preventionfrom the National Institute of Mental Health. If you are in crisis, call the National Suicide Prevention Lifeline at 800-273-8255 or reach out to the Crisis Text Line by texting ‘Home’ to 741741.